CSIRO researchers are developing what they consider the most viable way for viticulturists to control when wine grapes ripen. After a lot of painstaking work, a practical solution is close but there is still some scienti?c ?ne tuning to come. The key is the auxin known as NAA (the plant growth regulator molecule 1-naphthaleneacetic acid), which is commonly used by apple and pear growers, among others, but is not yet licensed for wine grapes. Dr Christopher Davies suspected that it should be, but needed to know exactly how it would work and whether there were better alternatives. ‘Auxin has emerged as a pretty good approach but we’d look very silly if there was something better or easier’, he said. It’s all part of a larger body of work to understand exactly how the ripening process works. There are still some knowledge gaps despite years of research around the world, and all manner of theories and observations can be found in the scienti?c literature. 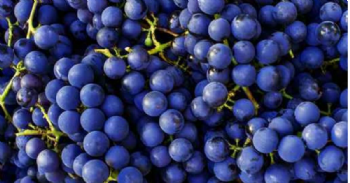 An initial project demonstrated the ability of NAA to delay grape berry ripening when applied to pre-veraison berries under cool climate conditions. A recently completed second project expanded the parameters with NAA and also tested a number of the potential alternatives. They included cytokinins (plant hormones that cause increased cell division), gibberellic acid (used for manipulating the size of some table grapes), a compound that releases ethylene (the classic ripening regulator) and even a green tea extract. In each case the researchers added to the pool of knowledge about how these processes play out, but found nothing that could surpass NAA in terms of providing a tool to actively delay ripening. NAA, a synthetic auxin, is even better than its natural counterpart IAA (indole-3-acetic acid), which is metabolised too quickly. Trials found that NAA works in a range of climatic conditions and, most importantly, has minimal if any impact on the resulting wine when used to delay ripening for one or two weeks. The most important question is exactly when to use the NAA. Spray too early and the auxin may have been metabolised before veraison begins. Spray too late and some berries may already have started ripening, which could make the problem worse rather than better. Spraying once veraison has begun achieves nothing. ‘It is always going to be a bit of a juggling act, but a part of the new project we’ve just begun is to give growers a good idea of timings and the concentrations to use in varying conditions. The project’s final report is now available here.